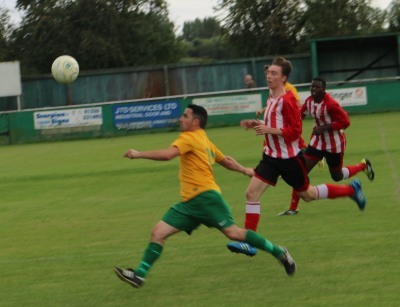 The North Berks League Football Season kicked off this weekend. At the Caldecott Recreation Ground Saxton Rovers took on Dorchester. Against the run of play Dorchester won 2-0. 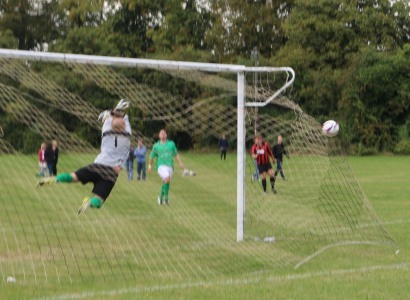 Abingdon Town are also now playing in the North Berks League. 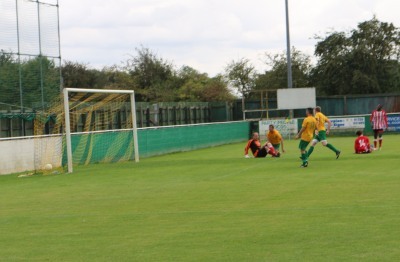 Their opening game was against Wallingford Town, and Abingdon won 4-2. Abingdon Town asked to play in the North Berks League, after finishing the last couple of seasons at the foot of the Hellenic League Premier Division. They see it as chance to re-group and improve their finances. Last year the derby game was against Abingdon United in the Hellenic League, and this year it will be against Saxton Rovers. Friday 19th September at 7:30pm Abingdon Town v Saxton Rovers. 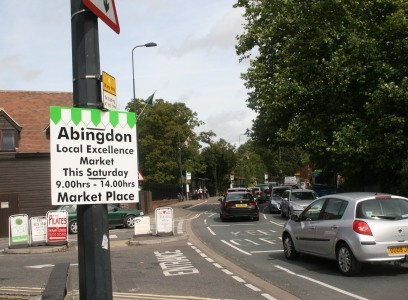 The Abingdon Local Excellence Market was This Saturday. They had a lot of well placed signs all around town letting people know. 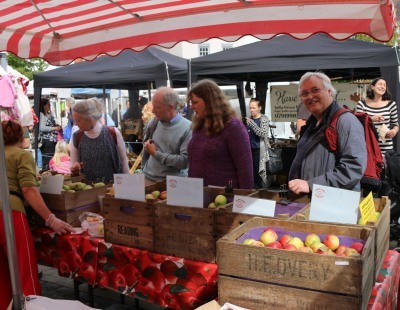 Abingdon town centre was busy this morning, and the Market was doing well. It had 26 stalls. 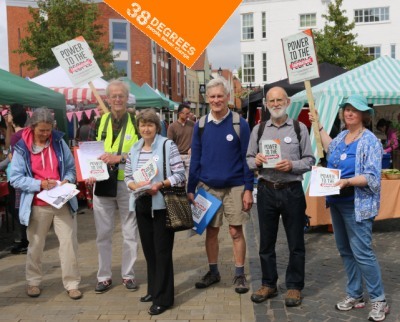 Also active at the Market were local people from an internet ‘people power’ movement called 38 Degrees. 38 Degrees is the angle at which an avalanche happens. They were trying to make people aware of TTIP – The Transatlantic Trade Investment Partnership. It’s a trade agreement between Europe and America which they fear could put the profits of big businesses ahead of environment, healthcare, and the UK minimum wage. 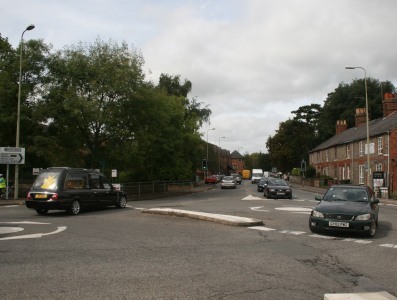 On March 27th The Oxfordshire County Council Cabinet Member for Transport heard representations on proposed changes to the pedestrian lights on Marcham Road and Ock Street. 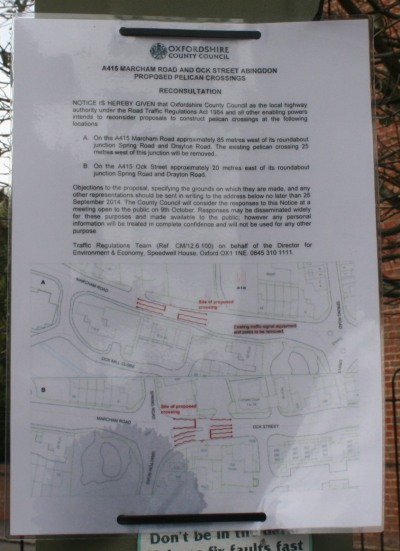 These changes are a prerequisite for building the 159 houses in a field off the Drayton Road, and will be funded by the developer. On that occasion 11 people spoke against the plans and the cabinet member rejected the proposal. The plans have not changed. Correspondence from the first consultation will be included in the second, but people can write again. 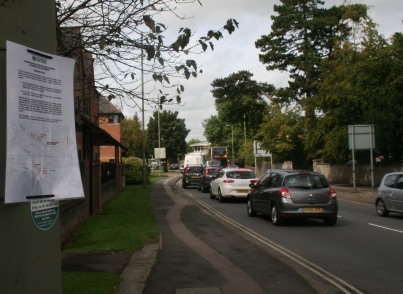 Email:Christian.mauz at oxfordshire.gov.uk no later than 26th September. A decision will be made on October 9th. The writing on brown is the location of the existing lights, and the red zig-zags are the proposed lights. 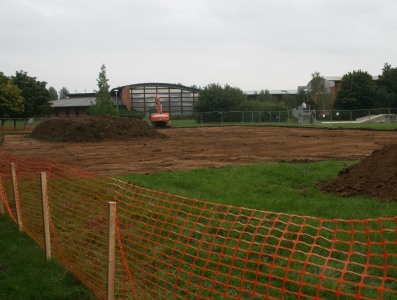 Work has begun turning an area of grass into more car park space for the White Horse Leisure and Tennis Centre. 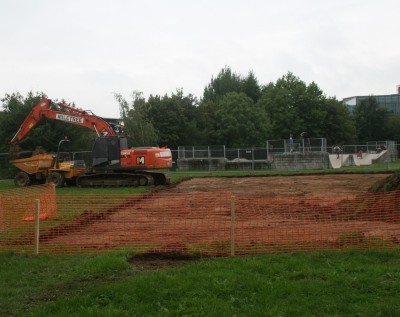 This will give space for an additional 99 cars, making 343 spaces in total. Management of the Leisure Centres for the Vale, and South Oxfordshire, including the Open Air Pool, will all move to GLL from September 1st. The outdoor pool will close for the season on Sunday 31st August. Schools are back next week. The names of the men from Abingdon who served in World War 1 were read from the Roll of Service in St Helen’s Church on the Centenary of the outbreak of World War 1. 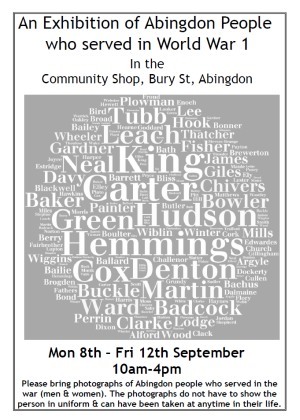 Abingdon Library has been collecting pictures and information about those who served, and an exhibition is also planned from Sept 8-12 in the Community Shop in Bury Street to remember those who served in World War 1. “Please bring photographs of Abingdon people who served in the war (men & women). The photographs do not have to show the person in uniform & can have been taken at anytime in their life…” to either the Library or the Community Shop. 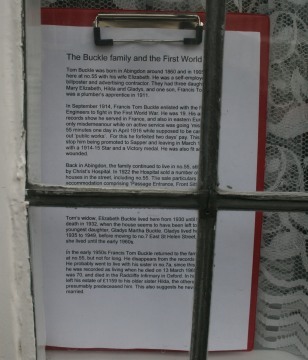 Houses in East St Helens Street are to display the story of previous inhabitants who served in World War 1 in their windows during Heritage Weekend (13-14 September). 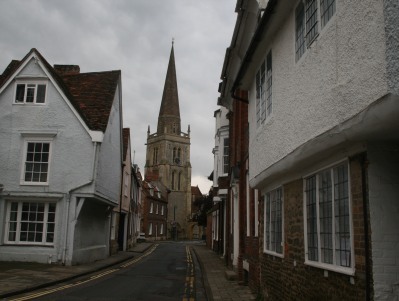 During Heritage Weekend, in addition to the usual open properties and walks, all free, there is also a Family Activity Day on the Market Place to transport you back to Abingdon 100 years ago. Ruby’s Vintage Fair will also be on that weekend in the Guildhall, as has happened for the last 2 years. They have a small charge for entry of £1.